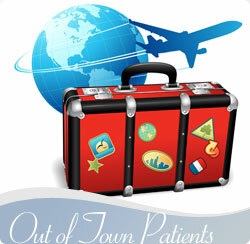 Travel to Weston for a personal examination and consultation with our plastic surgeon, Robert Rothfield, MD. This is our preferred approach. Please be advised that communications via our website or e-mail are not encrypted or sent through a secured connection. Therefore, by sending information to us electronically, understand that there is a risk of your personal information being subjected to unauthorized use by outside parties. If you have any questions or concerns, please feel free to contact us at (866) 417-6996. Submit Deposit to secure surgery date.